24 year-old Abner Mares is on the fast track to becoming one of the sport’s most elite fighters. He is undefeated as a professional (19-0, 12 KO’s), and possesses swift hand speed and precise volume punching that has enabled him to conquer opponents quite easily. Defensively, Mares fights like a veteran. When standing in front of his opponents, he exerts little energy by using crafty upper body movements. Mares is one of eleven brothers, and was born in Guadalajara, Jalisco, Mexico, but raised in Hawaiian Gardens, California. While Mares’mother worked many long hours to support the family, he started boxing at the age of 7 when his brother took him to the gym. Abner’s father also boxed professionally. While growing up, Mares focused on perfecting his craft, which left little time for friends and activities. He never attended his high school prom. Abner has triumphed over several challengers by implementing a devastating body attack into his arsenal. His body punches remind many of Mexican legend Julio Cesar Chavez. Mares holds a remarkable amateur record of 112-8, 84 KO’s. In 2002, he captured Gold medals at the World Cadet Championships and the Central American and Caribbean Games. He also won a pair of Silver medals at the 2003 Pan-American Games and the 2004 World Junior Championships. Three of those 112 victories came against Juan Manuel Lopez, who is undefeated as a professional and now fights at 126 lbs. At the 2003 Pan-American Games, Mares would beat Lopez again, this time in Santo Domingo, Dominican Republic. Mares went on to represent his native Mexico at the 2004 Olympic games. However, he suffered a controversial defeat in his first bout against Hungary’s Zsolt Bedak, losing on points 36-27. It seemed Mares was not receiving credit from the judges for his body punching. Bedak now campaigns professionally at 122 lbs. and is undefeated (15-0 5 KO’s). Julio Cesar Chavez and Hector Lopez were calling the action ringside for Mexico, and felt the decision was also unjust. In November 2004, Oscar De La Hoya signed Mares to his promotional company, Golden Boy Promotions. In 2007, one of the most glorifying moments of his early professional career came when Mares won the WBO & NABO Bantamweight titles against Isidro Garcia. Although, that was not the toughest fight Abner had as a professional. His greatest challenge came in a fight he won by a second round knockout against Diosdado Gabi. Entering the bout, Gabi was 30-3-1, 21 KO’s and the first southpaw Mares faced as a professional. The bantamweight division is stacked with many talented fighters such as WBC champion Hozumi Hasegawa, IBF champion Yonnhy Perez, WBA champion Anselmo Moreno, Fernando Montiel, Nehomar Cermeno, Joseph Agbeko, Wladimir Sidorenko and Kohei Oba, all of whom have 2 losses or less. Mares is willing to fight anyone. At some point, he wants to unify the titles, something that has not been done in the bantamweight division since Enrique Pinder in 1972. 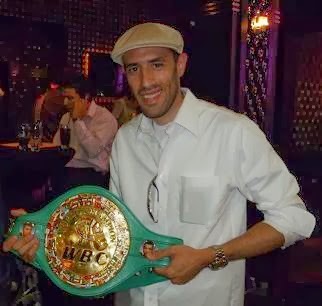 No fighter has ever held the WBC, WBA and IBF Bantamweight titles simultaneously. The IBF did not start crowning champions in the bantamweight division until 1984. Pinder won two of the three titles (WBC & WBA) when he defeated Rafael Herrera by a 15 round unanimous decision on July 29, 1972 in Panama. Mares could end up facing Yonnhy Perez on May 22nd for the IBF Bantamweight title, as the co-main event to Israel Vazquez vs. Rafael Marquez IV on Showtime. Mares defeated Perez two out of three times in the amateurs. At the moment, a deal has not been finalized. If he faces Perez, Mares expects a hard fight. “His right hands are no joke. He never gives up and his conditioning is excellent. I will box him and trade when I am close to him. We will make a good fight. Mares has not fought since August 27, 2009 when he scored a 6th round knockout over Carlos Fulgencio. He has been training in the gym for the last twelve weeks, and is eager to fight again. 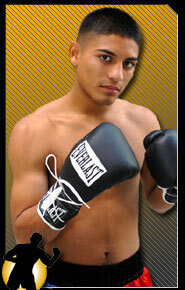 Perez is a tall fighter, who can utilize his height and reach advantage with an effective left jab. Then again, Mares has a plan. Indeed, boxing has a new rising superstar.